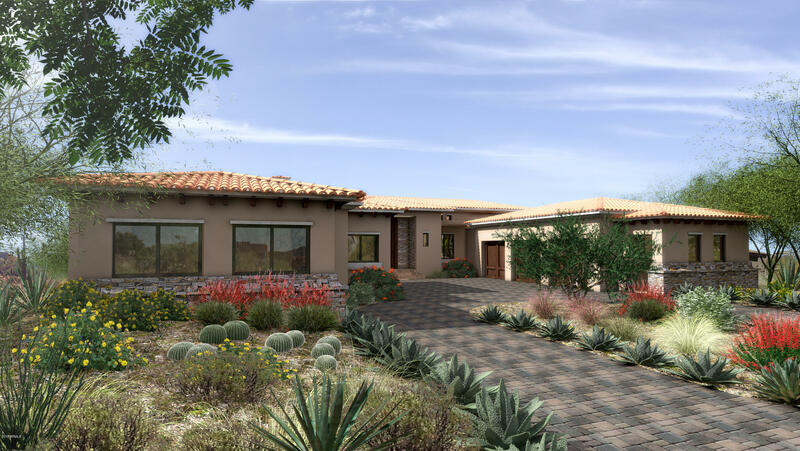 All TROON homes currently listed for sale in Scottsdale as of 04/25/2019 are shown below. You can change the search criteria at any time by pressing the 'Change Search' button below. "NEW BUILD SOFT CONTEMPORARY by Luxury Living Homes, LLC and interior design by Melissa Paddock in North Scottsdale's premier guard gated community of Artesano at Troon. Nestled in the hillside offering city light and mountain views from expansive picture windows. Light & bright open concept living WITH ELEVATOR TO LOWER LEVEL, custom finishes, designer kitchen, 3 car garage, negative edge pool. ESTIMATED COMPLETION OF SPRING 2019. Pictures are architectural renderings and not necessarily re"